Past exposure to asbestos will dramatically increase the chances of a smoker developing lung cancer, a fact that may gain considerable attention in the coming months by the high-profile lawsuit filed by U.S. Congresswoman Carolyn McCarthy, of New York. 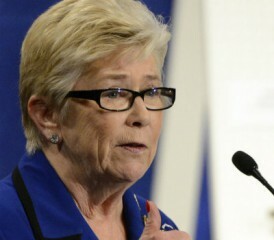 The 17-year veteran of Congress announced in June that doctors were treating her for lung cancer. McCarthy, 69, recently filed a lawsuit against multiple asbestos manufacturers, claiming their products significantly increased her risk of getting the disease. Her case was not the typical occupational asbestos exposure that involves directly working with the dangerous mineral, but the less common, second-hand type of exposure  which involves the same synergistic relationship between smoking and toxic asbestos fibers. McCarthy’s exposure stemmed from early years at home with her father and brothers who brought home the toxic asbestos fibers on their work clothes. All worked as boilermakers in power plants and in shipyards, work sites notorious for asbestos exposure. It is not uncommon for families of U.S. Navy yard workers also to be exposed to asbestos. She was also a lifelong smoker; however, her smoking habits do not preclude her from holding the asbestos manufacturers responsible for knowingly inflicting their harm. According to several studies, including one published in the American Journal of Respiratory and Critical Care Medicine, smokers exposed to asbestos are five times more likely to develop lung cancer than smokers never exposed to asbestos. That’s why smoking cessation is being emphasized like never before, particularly among those who have worked with asbestos, the naturally occurring mineral used by manufacturers throughout the 20th century, despite its well-known toxic qualities. Smoking cessation, based on a recent study headed by researchers at Queens College in New York, prompted an almost 50 percent decrease in lung cancer rates among asbestos-insulation workers. The study included more than 2,000 long-term insulation workers, and examined the interaction between asbestos exposure and smoking. Exposure to asbestos can lead to a number of serious health issues, including mesothelioma, asbestosis and lung cancer. The synergy with smoking becomes a volatile mix, leaving asbestos manufacturers increasingly vulnerable to litigation, regardless of a victim’s history of smoking. The families of two smokers in New York earlier were awarded a combined $22 million in damages from Goodyear Tire and Rubber and Goodyear Canada by a New York Supreme Court, stemming from their occupational exposure to asbestos-laced gaskets produced by those companies. The jury decided the companies were liable for 45 percent of one man’s lung cancer and 12 percent of the other victim’s disease. “You’re proving that asbestos was a cause of the lung cancer, not the only cause, or the biggest cause,” said attorney Frank Ortiz, Managing Associate with Weitz & Luxenberg, the nation’s most accomplished asbestos litigation firm. Weitz & Luxenberg, based in New York City, handled the earlier case against Goodyear, and is now handling McCarthy’s lawsuit. McCarthy’s plight, and the following it already is receiving in the media, may lead to a better understanding of just how dangerous asbestos really is. Ortiz speaks often to blue-collar workers and union gatherings, explaining how smoking increases the dangers of asbestos exposure. He also explains that those asbestos manufacturers can be held liable, even by long-time smokers.